THE GREAT EASTERN---movie underway based on the upcoming Howard A. Rodman novel described as, "A sprawling adventure pitting two of literature’s most iconic anti-heroes against each other: Captain Nemo and Captain Ahab. Caught between them: real-life British engineer Isambard Kingdom Brunel, builder of the century’s greatest ship, The Great Eastern. But when he’s kidnapped by Nemo to help design a submarine with which to fight the laying of the Translatlantic cable – linking the two colonialist forces Nemo hates, England and the US – Brunel finds himself going up against his own ship, and the strange man hired to protect it, Captain Ahab, in a battle for the soul of the 19th century." Rodman will write the screenplay. BLONDE---Ana de Armas (BLADE RUNNER 2049) is in talks to star in the Netflix Marilyn Monroe biomovie. BUTTON MAN---Netflix movie underway based on the graphic novel. Brian Helgeland (L.A. CONFIDENTIAL, MYSTIC RIVER) is the director. Netflix is also developing a movie based on the novel THERE'S SOMEONE INSIDE YOUR HOUSE with Patrick Brice (CREEP) as the director. GAME OF THRONES---HBO released the dates and run times for Season 8's episodes. Episode 1--April 14/54 minutes, Episode 2--April 21/58 minutes, Episode 3--April 28/82 minutes, Episode 4--May 5/80 minutes, Episode 5--May 12/80 minutes, Episode 6--May 19/80 minutes. THE BATMAN---director Matt reeves said the movie will start filming, "...around year's end." NEWARK---Warner Bros. announced the new title for THE SOPRANOS prequel movie is NEWARK instead of THE MANY SAINTS OF NEWARK. THE KOMINSKY METHOD---Kathleen Turner will reunite with her ROMANCING THE STONE co-star Michael Douglas when she guest stars as Sandy's second wife, Ruth, "who delights in still being able to push the buttons of her ex-husband." Turner replaces Jacqueline Bisset, who was to have played Sandy's French second wife, Gabrielle. FULLER HOUSE---Netflix fired Lori Loughlin due to her arrest following her involvement in the college admissions scandal. Loughlin was also fired by the Hallmark Channel from WHEN CALLS THE HEART and GARAGE SALE MYSTERIES. PACHINKO---Apple series underway based on the novel about a Korean immigrant family. Soo Hugh (THE TERROR) is the writer. THE THING ABOUT THE JELLYFISH---Millie Bobby Brown will star in this movie based on the young adult novel. ONE DAY AT A TIME---Netflix cancelled the series due to low ratings. TRIVIA---in JAWS 3-D, Roy Scheider did not want to return as Police Chief Martin Brody for the sequel, "Mephistopheles ... couldn't talk me into doing [it] ... They knew better than to even ask". 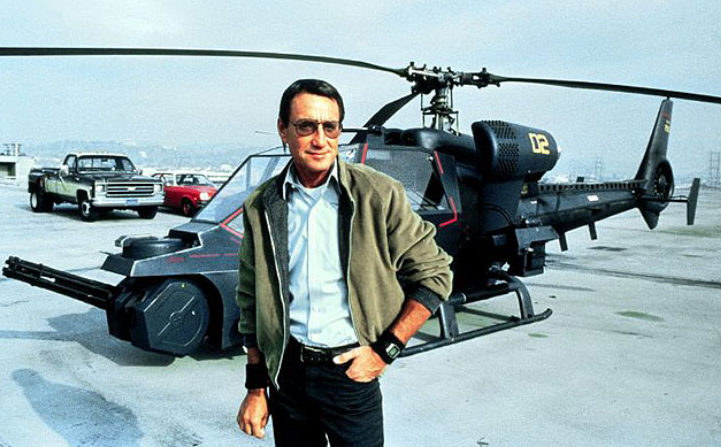 Scheider chose to star in BLUE THUNDER, a movie about a high-tech helicopter, so he would be unavailable for JAWS 3-D.
Roy Scheider starred as Police Chief Martin Brody in the original JAWS. 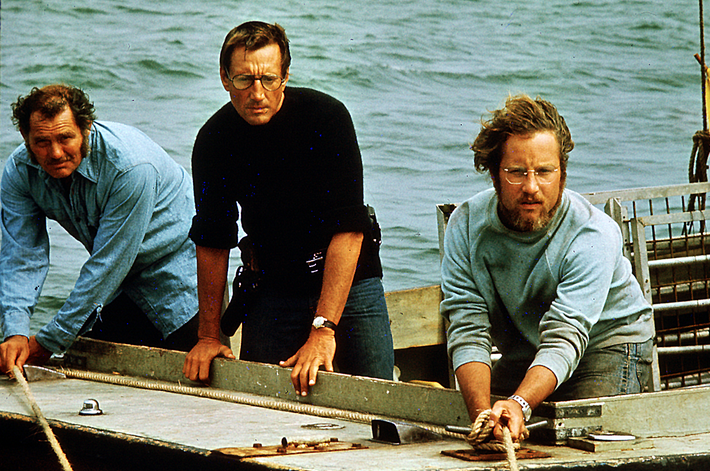 Scheider starred in BLUE THUNDER so he would be unavailable for JAWS 3-D. I'm all for more Ana, but do we really need yet another Marilyn Monroe bio pic? Let her rest in peace. If Howard Shore doesn't score this, I'll be a little disappointed. The only one I can think of in recent years is My Week With Marilyn, which I thought was pretty good. What others ones is there? Didn't Lifetime do one called Blonde? There was the 90s HBO movie Norma Jean & Marilyn (with Ashley Judd and Mira Sorvino, respectively). Good Christopher Young score. If Ana gets naked? ; yes we do!